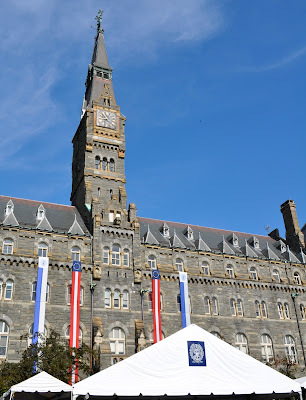 In May, I graduated with an MA in Government from Georgetown University. I'm going to be honest, I'm pretty proud of this accomplishment. Certainly I did not achieve this goal/dream on my own, but I did work very hard, and am thrilled to have an advanced degree at last. Graduation day was absolute perfection. The weather was glorious and everything went off without a hitch. I was lucky enough to have a huge contingent of supporters in attendance as well, though some of them (i.e. my kids) didn't have much choice in the matter. I now am the proud owner of an enormous diploma written in Latin and prominently displaying my name. It will look nicely on the wall next to Kenny's Georgetown Law diploma -- sort of a matched set. 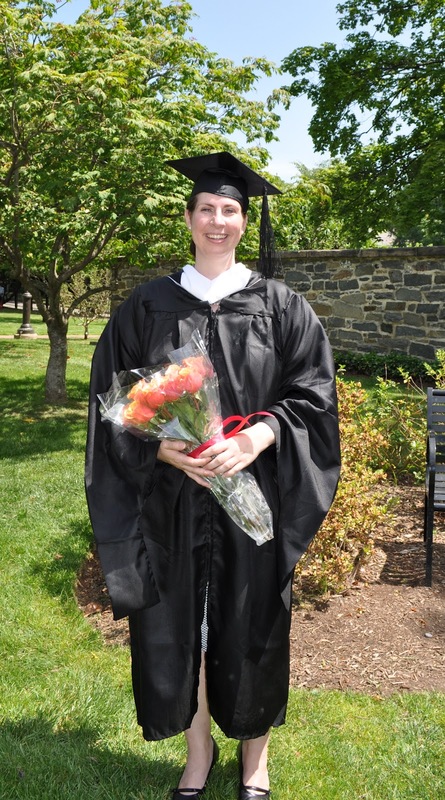 The best part about being graduated is the overwhelming sense of satisfaction I feel at a job well done and the hope that I have demonstrated for my children the importance of higher education, whatever the circumstances. Main campus, decked out for the day's festivities. My fellow graduates. Those envelopes we're holding are our diplomas, see, I told you they were huge! Two of my favorite guests in attendance. Kenny's parents came from Colorado. My parents came too. I've said it before, but I hit the parent jackpot with these two. 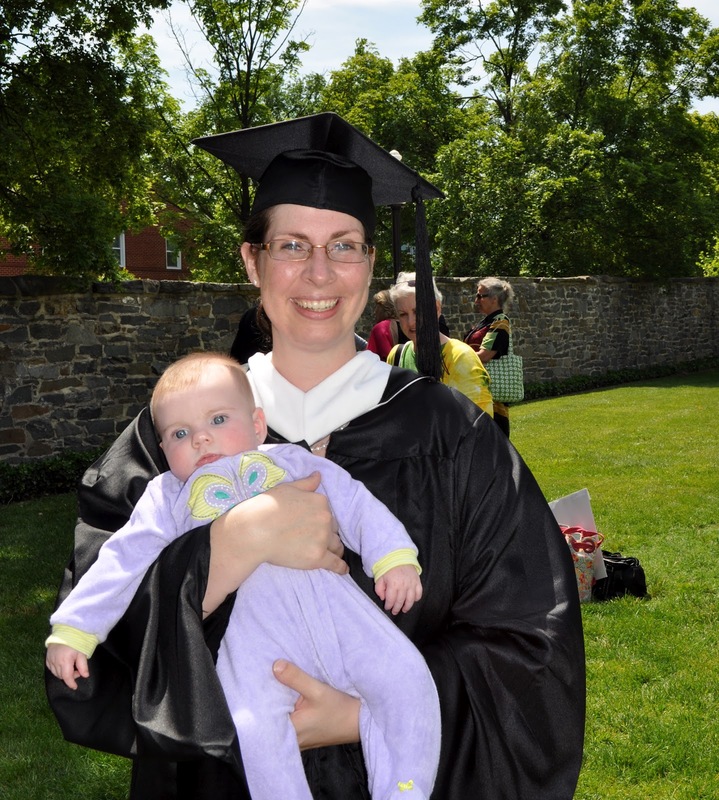 Grad school with a newborn is super awesome, though not the easiest approach. Congratulations!!! Such a wonderful goal to have accomplished -- well done! Love, love, love this post. You rock! I am happy for you, impressed by the feat, and thrilled you're my friend -- what an awesome accomplishment. You are amazing! :) So proud of you and all of the wonderful things you continue to do! Many, many, many, congrats, girlie. Well done. Here I am, teary-eyed with pride (and a little jealousy). Way to be my inspiration! What an accomplishment. Way to go!